What: A fast paced 260-mile overland adventure through the Borderland to the Overland Expo. Nearly two thirds of the route will be dirt! 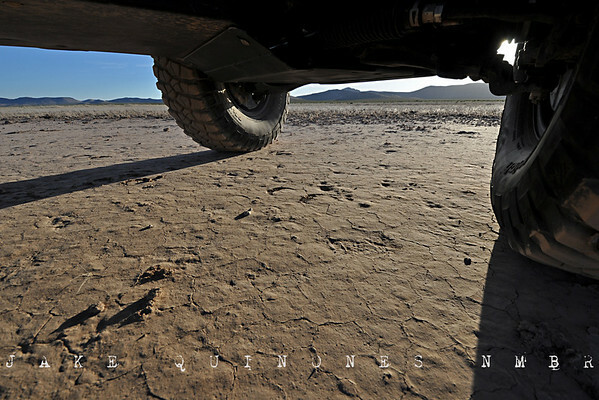 Looking to go the road less traveled to Overland Expo 2011? New Mexico Backroads will be guiding a two day adventure that will traverse some of the regions’ loneliest roads. Scenery along the Borderland Overland route will include desert, grasslands and forest. Nearly two thirds of the route will be comprised of dirt roads, including the Geronimo Trail and Coronado Scenic Byway. Wednesday night camp will be at Parker Canyon Lake; a beautiful backdrop for relaxing around the campfire. For those that make the trip; I can almost guarantee they will arrive at the Overland Expo with dirty rigs, big smiles and stories that will make their fellow overlanders envious. -Group meets at Pilot Truck Stop (1050 East Motel Drive) in Lordsburg, NM. Meeting and briefing will be at 5:30AM, departure will be promptly at 6:00AM. Lordsburg, the meeting point, is located approximately 2.5 hours east of Tucson and 2.5 hours west of El Paso. For those traveling a long distance to Lordsburg, a Tuesday night motel or campsite stay near Lordsburg is recommended. Wednesday night camp will be at Parker Canyon Lake, AZ. Basic bathroom facilities and water are provided (this is a pay per site campground). Fuel will be available in Douglas, Bisbee and Patagonia. For those interested in researching the Borderland Overland route, I recommend purchasing the New Mexico & Arizona Delorme Atlas Books. Because a large amount of land will be covered in a relatively short period of time, the trip will be fast paced. All departure times will be firm. The Borderland Overland route will traverse long and remote stretches parallel to the US/Mexican Border. While the areas we will be traveling are statistically safe, dangerous illegal activities and border violence are ever-present. Drivers and passengers alike will need to be aware of their surroundings at all times. Cell phone service, as well as any other type of service, will be limited throughout the entire trip. This trip is limited to participants of Overland Expo 2011 (Day Pass or Overland Experience). No one under the age of 18, please. All travel distances and times are approximate. The Borderland route may be subject to change due to time constraints, bad weather, road closures, or poor road conditions.